Mr Singh, who was a BSP MLA from 2003 to 2007 before joining the Congress, said he was "saddened" by the policies of the Congress and felt "enthused by the development-oriented politics" of the BJP. Amethi: Local Congress leader of Amethi Jang Bahadur Singh today announced his decision to join the BJP, just a day ahead of BJP chief Amit Shah's visit to the Lok Sabha constituency of Congress vice president Rahul Gandhi. "I have decided to join the BJP. The projects which were started earlier have virtually slowed down significantly, thereby generating a sense of agony. However, with the advent of Smriti Irani (Union Minister for Information and Broadcasting and Textiles), there has been a visible shift," he told reporters here. 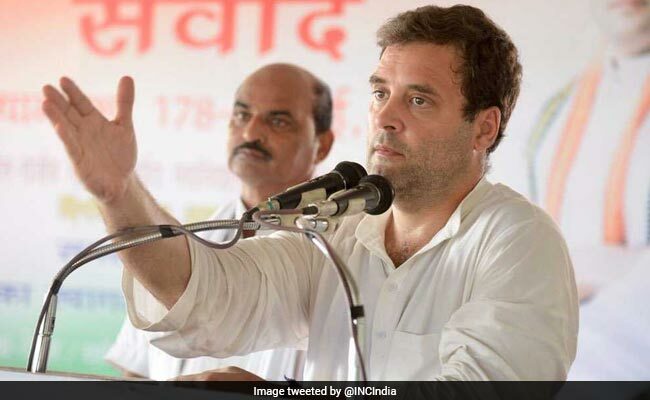 Mounting attack on the Congress, Mr Singh said, "Despite having a government at the Centre for two terms (2004 to 2014), no significant step was taken to ensure development, and as a result Amethi became synonymous with bad roads." He said the Congress "indulged in ignoring its workers, while on the other hand, Smriti Irani, despite losing the elections, showed inclination towards development and also showed honour towards the workers. This prompted me to join the BJP." Earlier, when Mr Shah visited Lucknow in July, two MLCs of Samajwadi Party, Bukkal Nawab and Yashwant Singh, and one from BSP, Thakur Jaiveer Singh, had resigned from the membership of the Council and joined the BJP. Commenting on Congress Vice President Rahul Gandhi's recent remark that the Congress will do in six months what the Modi government has not been able to do so far, Mr Singh said the statement was "laughable". "For nearly 60 years, the Congress was in power at the Centre. When it was in power, why did it not do anything? Today it is even failing to play the role of Opposition," he said. Heaping praise on Ms Irani, Mr Singh mentioned the 41 major works done by her in Amethi. Showering accolades on Mr Shah, he said the BJP chief's "organisational capabilities" have helped the country to move forward on the path of development. "Under the leadership of Prime Minister Narendra Modi, the face of Pakistan has been exposed at the United Nations," he said. Amethi, traditionally a Congress bastion, had in 2014 Lok Sabha elections witnessed a high-pitch electoral battle between Mr Rahul Gandhi and Ms Smirti Irani. Though Ms Irani lost to the Congress scion, she managed to reduce his victory margin from around 3.70 lakh in 2009 to 1.07 lakh in 2014. In the Uttar Pradesh Assembly polls earlier this year, the BJP won six of the 10 Assembly seats falling under the parliamentary constituencies of Amethi and Rae Bareli. Four of them were in Amethi, reflecting the change in mood of voters. BJP sources said the upcoming visit of Mr Shah and Ms Irani to Amethi was aimed at sending a clear message that the current dispensation believed in all-round development of the state and was not meting out any "step-motherly treatment" to the areas where the BJP had failed to make a mark. Mr Gandhi had during his visit here on October 5 accused the BJP governments at the Centre and in Uttar Pradesh of re- inaugurating the projects launched by the previous UPA regime in the district. He had also mounted a sharp attack on the prime minister and asked him to address unemployment problem and farmers issues. "If Modiji cannot address these (issues), he should say so and Congress will come and do his work in six months," he had said.